There are different kinds of occult symbols that exist and at present, you will find that an increasing number of people are now using these symbols by wearing them or by displaying them because these signs are considered to be trendy. This is especially popular among the younger generations. On the other hand, it is important that you know what the symbol mean before you decide to use it by displaying it or by wearing it. You need to know that the occult symbols have double meanings and sometimes multiple meanings. 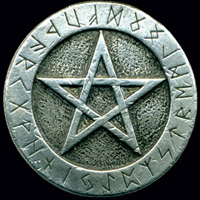 One example that is often confused is the Pentacle. People have been using this sign to send out occult power in various kinds of Rituals for hundreds of years. A person who does not know about this will think that is just a star. Let’s look at another example. When an image of a fish is seen, many people think that is simply one of the signs of the Zodiac but to the followers of Christianity, a fish means following Jesus Christ and spreading His message of love. On the other hand, there are some other people who make use of this image to represent the evil. Ankh: This symbol is of Egyptian origin and is a known as being a traditional symbol for everlasting life. Depicted in countless temples, paintings, and carvings, this hieroglyph is reserved mainly for depiction with the gods and pharaohs. Triple Moon: The triple moon symbol is a common symbol within Wicca. The symbol itself is a simplified visual representation of the waxing, full, and waning moon. A potent Goddess symbol that embodies the Maiden, Mother, and the Crone. 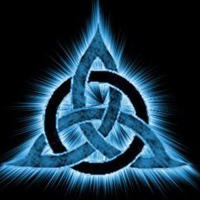 Triquetra: This symbol comes from Celtic origins and has been used by more than just one religion through the ages. Representing the sacred number three, it lends itself to quite a bit of versatility. Not surprisingly, this symbol was adapted by the Christian faith to embody the Holy Trinity, though it is still used by other faiths as well. Hamsa: The Hamsa is a palm shaped amulet used as a defense against the evil eye. Used in decorations and jewelry of all kinds, there are many elaborate depictions of this symbol, but the basic symbol has two common styles, the first being a stylized hand with two symmetrical thumbs, and the second being a non-symmetrical hand. The Cross: Two lines intersecting each other creating four ninety degree angles. One of the most basic of symbols that has been used in all cultures and religions at one time or another. The most recognizable association is the Christian cross, meant to symbolize the crucifixion of Jesus. There are many interpretations in modern day culture outside of Christianity, the most common of which is simply a symbol of protection. Circle: A circle is a universal and sacred symbol that takes on many meanings; some of which are female power, goddess, infinity, wholeness and unity. The circle can represent a sacred space, a spiritualized Mother Earth and feminine force or spirit to the various religions all over the world and also to the modern pagans. As with all things, symbols derive their meaning from your own personal interpretation of them. 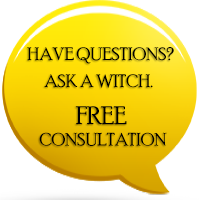 This enables all magical practitioners to create an endless array of possibilities to explore in their personal studies and workings. Creation comes from within, but symbols are the building blocks of this creation. THANK YOU, This is AWESOME,..Have a Good/Blessed Day...and week.. I think I might need some help. I need a little protection of some sort. I thought I could ignore it or THINK positive and the negativity would go away. I thought if I got away from those people that were influencing my ex-boyfriend that it would all end and I could live my life with peace of mind and feel safe.